When remodeling your home, you have many details to work out. You have to determine what changes you want to make and research the local, state and federal laws associated with residential property in your area. You also have to learn and make sure you abide by all building codes and get the proper permits before you even begin. With so much to do, it’s easy to get distracted but taking care of the three things below will help make your project go much smoother. There is nothing worse than running out of money in the middle of remodeling a home. When this happens, you have to put everything on hold until you obtain the funds you need. To avoid this scenario, make sure you have the funds to cover the entire cost of the project, which means you need extra funds available for the unexpected. Something will always come up that cost more than you expected or planned for in your budget. For this reason, you need access to additional funds that you’ve put back for project emergencies, in addition to the original funds. This way, you don’t have to worry about putting a strain on your finances or having to delay your project indefinitely. Contact us to schedule a design consultation and we’ll help you estimate the cost of your project and plan for the unexpected. Your windows and doors are a huge focal point of the home. Old or outdated windows and doors will take away from the rest of the décor. They’ll look out of place with your new design and leave it looking a little drab. You’ll always feel like something is missing if you don’t invest in new ones for your home. Windows dress up and add natural light to the home but they do so much more. They can enhance your décor, make a small interior look larger, give you a great view of the outdoors and make your home feel more comfortable. New energy efficient windows can even reduce your heating and cooling bill by eliminating drafts, so there are many benefits to replacing the old ones. The front door is the first thing people notice when entering your home, so make that first impression a good one. However, all of the doors within your home have the potential to enhance the surrounding décor, so consider replacing these, too. Here at J. 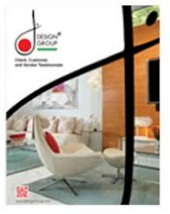 Design Group, we can help you choose the best windows and doors for your home to enhance your overall design. If you’re living in the home you plan to remodel, then arrange to stay somewhere else until the project is complete. During the remodel, there will be contactors in and out of the home all day long, so you’ll have little privacy. There is also a lot of dust, debris and noise to deal with that will disrupt your daily routine. If you stay in the home, you can also interfere with the project and prevent the contractors from meeting deadlines. It’s much easier and better for everyone if you find somewhere else to stay until the project is complete.